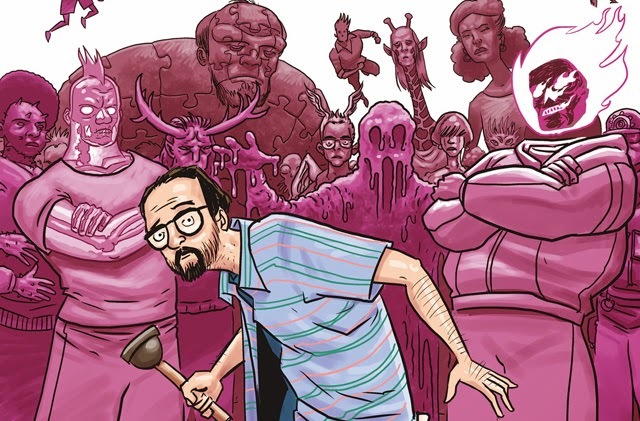 Titan Comics: ORDINARY Review #bestbritcomics | Warped Factor - Words in the Key of Geek. Tony Fyler has never been ordinary. One-word adjective-titles are always going to be a hostage to the fortune of reviews – they always put an expectation out there, and allow the first line of any review to be ‘It really is X,’ or ‘Notsomuch with the Y.’ Believe me, I know what I’m talking about here, I’m writing a book called Wonderful! So let’s get this out of the way while conforming to review cliché expectations: Ordinary – notsomuch with the ordinary. There are plenty of adjectives that do work for it though – funny, redeeming, absorbing, and probably, if we’re talking about how it feels, rather than what it actually is, short. Rob Williams the writer and D’Israeli the artist both come to Ordinary with highly-stacked pedigrees of excellence, and they bring their histories to bear here in what should be – and ultimately is – a simple story of a world besieged by plague, where the plague gives everyone superpowers or weird mutations of some kind. Everybody but serial loser Michael Fisher. Unlucky in love, unlucky in work, unlucky in a failed marriage and fearing the responsibility of contact with his son, Michael’s a character that needs a world plague crisis and, technically, dying, to bring his redeeming qualities out. Ordinary tells the story of the day the world goes super, and the consequences – power-blocs align themselves either side of him: some want to use him to find a cure to the super-plague before the world goes spectacularly to Hell in a super-handbasket, others want to shoot him stone dead before the idea of a cure becomes more than a theoretical possibility. It’s a frighteningly realistic depiction of the mindsets of leading politicians on both sides of the Atlantic, and so Ordinary has a feeling of grand, over-arching believability about its plot. It also has a believability in terms of its human relationships – jerks don’t necessarily become good people just because they’re put under pressure, but sometimes crises strip away the day-to-day flotsam that seems so important and allows people to focus on what really matters. That happens in Ordinary, and it resonates with readers because it doesn’t take the easy path of being too quick or too simple a solution. Oddly enough, it’s in the business of being too quick and too simple that the only real criticism of Ordinary can be made. When the people who want to use Michael to develop a cure get him out of the danger of being shot by military assassins, he wakes up in a new location and is told he’s already done his bit while he was asleep. The development of a cure happens off-screen and appears to take no time. It’s released, and the world goes back to being ‘ordinary’ with a minimum of fuss. That all feels just too quick and simple for geeks, who like a good solid chunk of conflict en route to solutions. Come to that, the development of the threat is pretty rapid too – the plague appears to hit almost everywhere instantaneously, people suddenly growing young, people turning into animals, people merging with the tools of their trade or getting a Midas touch or super-strength all at once, over the course of a handful of extremely busy pages. We’re not by any means saying the pace should be slowed to Fortitude-style levels of nothing-happening, but while we appreciate a rapid read, Ordinary does go from 0-60 in about 3.2 seconds, and then, after cruising for a bunch of pages, slows back down in about the same time. Perhaps a little more creep to the story advancement, a little bit less instant visibility of powers, would have allowed Ordinary to be spun out productively for longer than it is, with more obstacles placed in the way, or those that exist here having a higher drama-quotient by being allowed to breathe a little more deeply. It’s interesting to compare this ‘plague of superhero powers’ concept with the way the same basic idea is treated in Death Sentence, another of Titan Comics’ #bestbritcomics releases. There, the powers were extraordinary but came with a built-in expiration date, and we saw the havoc they could wreak in the hands of one unhinged individual. Here, everyone has superpowers, so there’s little time to really focus on any of them, and for the perfectly good reason that in a world where everyone is super, the very idea loses its meaning, and it’s the ‘ordinary’ who are extraordinary. Perhaps, there, there’s an explanation for why the world of Ordinary goes to hell so much more rapidly and in a more chaotic style than Death Sentence’s more deliberate, malicious journey, but still, of the two, the pacing works more effectively in Death Sentence. Really though, this is merely quibbling. Williams and D’Israeli have created a realistic world and a believable emotional landscape, and told a gripping, empathetic sci-fi story within it that lots of readers will be able to devour in a single sitting, and that will leave you chuckling, moved and more than a little thoughtful. 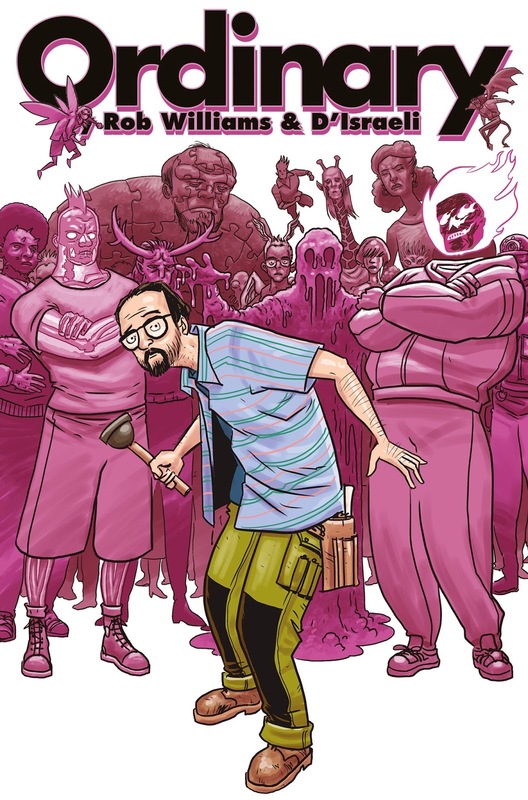 Check out Ordinary, and the rest of Titan Comics’ #bestbritcomics releases today.